If I didn’t tell you that I have been struggling this week- I’d be lying. The ugly shadow of fear has hung over me these past few days telling me I’m not great at what I’m doing or I’ll never be good enough. Do you ever have feelings like this? Because I do all the time. Recently, I have discovered I have major anxiety about conversations. It’s so pathetic now that I’m thinking about it- but I promised raw and real authenticity, so here ya go… Before I text someone back or call someone on the phone, I will sometimes play out every single scenario in my head so I can come up with a way to react to what they have to say. It is absolutely exhausting and ridiculous. By creating these scenarios, I work up feelings of uncertainty and panic- which both ultimately lead to fear. Fear is powerful and fear is paralyzing. And what I’ve come to realize is that I become so fearful about the conversation, that it hinders me from what I need to do in the first place- which is have the actual conversation. Anxiety comes in all different shapes and sizes– and I truly believe everyone experiences the feeling of anxiety at one point in their life, some just experience it more regularly than others. I also believe it’s what you do with your anxieties that will determine your next step on your path. I’m about to get real cheesy, real quick but whatever here it goes…. life is all about the journey. But I don’t mean the quote that was probably hanging in your third grade classroom that says, “life is not about the destination, it’s about the journey.” I mean life is a literal journey. Think about it. It’s a path that you walk down as you age and get older- and while no one can choose not to get older, you do have a choice to become wiser. I believe wisdom is not knowing everything, but choosing to grow in everything. These are all parts of our paths that are inevitable- everyone goes through them. However, choosing to grow through them will give us that wisdom to keep moving forward. As for me, in this very moment of my life- I will be completely honest in telling you I have no idea what my next step on my path looks like. Trust me, I’ve learned that the hard way this week. Nevertheless, I have decided to not stand still with my anxieties, but instead keep moving forward while working through them. Moving forward, making decisions, and heading into the unknown is like begging for anxiety- and it’s scary! Like I said earlier, fear is powerful and it can definitely be paralyzing. It’s important to realize though fear is just an emotion. Though fear may stalk you, it can not harm you. I’ve had to come to terms with the fact that I may not have control of when or what I have anxious thoughts over. But instead of letting anxiety take the control of my life, I am taking control of the anxiety by giving it to God. This week I heard the quote, “Worry is a down payment on a problem that may not even be yours.” This is SO true! If I am anxious about something that does not work out- I have to believe it is because there is something different, sometimes even bigger and better, in store for me. You have a path along this journey and I believe you have a plan in store for you- whether you see it or not. I have absolutely no idea where I am headed, but I do know I will keep moving forward- not letting the control of anxiety stop me on my path. It is a conscious effort to hand over these anxieties to God as they come, but day by day I am learning to control what I can and trust God with what I can’t. 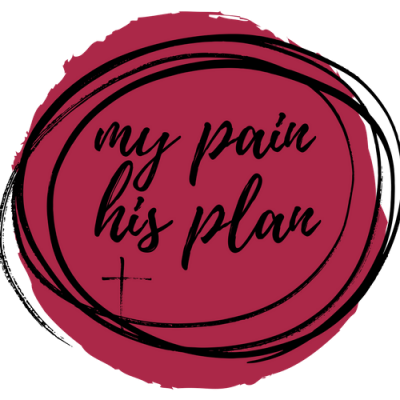 My pain is present and my path is unknown, but I am trusting in His plan to see me through. I will walk by faith and not by sight.